According to the American Cancer Society, cancer afflicts more than one million U.S. citizens each year. Since the odds are not in our favor, every single one of us has to everything in their power to reduce the risk of getting cancer. Apart from not smoking, exercising on a regular basis and maintaining a healthy weight, you can also prevent this deadly disease by eating certain foods. 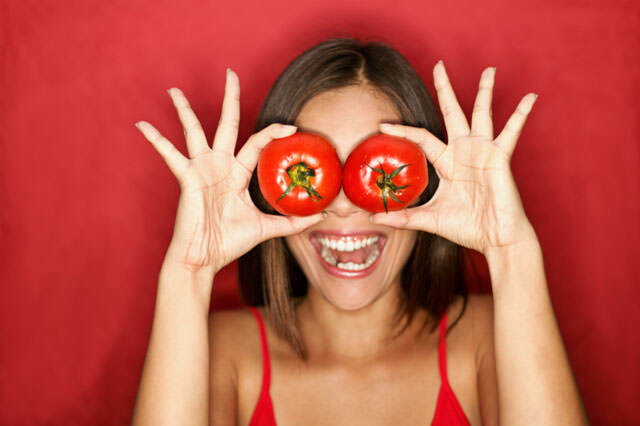 Tomatoes are not only super delicious, but they are also one of the healthiest foods out there. As it turns out, they are also one of the best foods you can eat if you want to lessen your chances of getting cancer. Tomatoes are basically an excellent source of various antioxidants, including vitamin C and lycopene, both of which reduce the possibility of abnormal cell growth. As a matter of fact, scientists have discovered that lycopene prevents prostate cancer. If all of this hasn’t persuaded you to delight in a tomato-rich diet, you should also know that some studies have shown that tomatoes may significantly decrease the risk of colorectal cancer, lung cancer and stomach cancer. Apart from guarding you against cancer, these tasty red fruits also keep your cardiovascular system healthy, increase your energy levels, help you lose weight, and improve your hair and skin.